Increasing Bitcoin adoption is always beneficial to the health of the cryptocurrency. With the current difficulties Bitcoin faces, the fact that people are still interested in using it is an encouraging sign for the cryptocurrency to still have a chance at success. More online and land-based businesses begin to accept Bitcoin, and the increasing number of establishments in Las Vegas adopting Bitcoin serve as the perfect business model for those interested in following suit. The D Las Vegas Casino & Hotel and Golden Gate Hotel & Casino—the first two Vegas hotels to accept Bitcoin payments—continue to experience positive results from integrating Bitcoin not too long ago, and they present how businesses can be at an advantage through Bitcoin. When the two Vegas hotels accepted Bitcoin in early 2014, the cryptocurrency community was ecstatic since this marked a milestone—the beginning of many more adoptions to come in the future. Although the hotels’ reception, restaurants, and souvenir shops were the only sections to receive the cryptocurrency, the increasing use of Bitcoin in these establishments did not falter. Two years since then, numerous developments favorable to Vegas businesses and Bitcoin community took place. There were the rising profits from Bitcoin payments in the said hotels, but there were also the installations of Bitcoin machines in hotel lobbies, including Mike Tyson’s Bitcoin ATM. Several other businesses in Las Vegas added Bitcoin to their supported payments, and this yields positive effects, which only encourage more people to use Bitcoin. To date, bitcoins can be used for payment for various services and activities within the state, including haircut, car repairs, shopping, kart racing, and even office rentals. 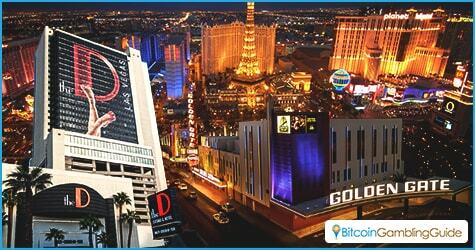 An increasing Bitcoin adoption continues to manifest even outside Las Vegas. 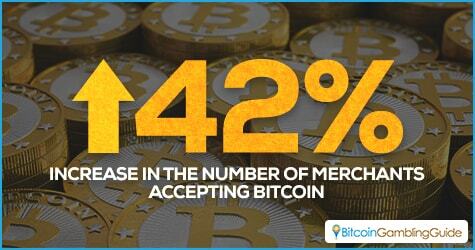 In fact, reports said that the number of merchants accepting Bitcoin has risen by 42 percent. Add JM Bullion to the list. The Dallas-based precious metals dealer joined the growing club of dealers of such kind in the US like Agora Commodities and Amagi Metals, both of which accept cryptocurrency payments. With many analysts comparing Bitcoin to gold, this is an excellent market for Bitcoin to penetrate, JM Bullion saw Bitcoin’s potential and followed the trend by having the cryptocurrency on board. With more people using Bitcoin, the cryptocurrency is quickly reaching critical mass. 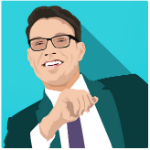 This is good news for those who are getting in early while the cryptocurrency is on the rise. According to the technology adoption cycle, Bitcoin can be estimated to be currently in the ‘early adopter’ phase. This is after the initial innovation phase, where the technology is initially developed. Early adopters have to suffer through the many growing pains that a technology has to offer. This is reflected in Bitcoin’s current troubles and the various hurdles that it has to go through to achieve further recognition. The positive side for early adopters is that they would be well-placed to exploit the technology when it finally enters the ‘early majority’ phase, where Bitcoin has finally entered the mainstream and is extending its reach. Bitcoin’s adoption will need to overcome the technical problems currently facing the cryptocurrency, though. Recent news on that front has been positive, as the community is seeking to decide how to up the block size by seeing which build—Bitcoin Core or Bitcoin Classic—will prevail.